Hosting a golf tournament is a high-profile, and often very lucrative fundraising concept. Golf has a reputation for being the game of people with lots of money and leisure time. And while it has gained in popularity, and is by no means only a "rich man's game", there is certainly a tremendous opportunity for raising big dollars here–and also an opportunity for tremendous publicity. A great advantage of hosting a golf tournament is the connections you make. It's not unusual to find local celebrities, businesspersons and politicians on the golf course, and these are people that you definitely want to be aware of your organization's overall mission and needs. There are actually several different places you can raise money with a golf tournament. First of all, when you host the tournament, each player will pay a fee to participate. Then, you can also print a sponsored tournament booklet or guide, which you can sell for a couple dollars each. You can sell advertising space in this guide to local businesses as well. Additional ideas may include soliciting local businesses to be the tournament "sponsor." The organization would be rewarded for their donation and sponsorship by having the tournament named after their company, so instead of, for example, just having a "Save the Seals Golf Tournament," you would call it the "First Bank Save the Seals Golf Tournament." That's great publicity that's worth a lot to a local business. In addition to the primary sponsor or sponsors of the event, additional sponsors may donate lesser amounts to sponsor individual golf holes. Each of the 18 holes could be sponsored by a different local business, who would have an opportunity both to be listed in the program guide, and to have their company name shown near that hole. Still other local companies can be solicited to donate prizes for the winners. Hosting a golf tournament is a big project, and there are expenses involved. First, you will have to arrange with a local golf course willing to host the tournament, and it is very likely that you will have to pay a fee to rent the course for the day. Of course, it doesn't hurt to ask the golf course if they would be willing to offer you a reduced fee, or even allow you to use it for free, as a way of supporting your cause. The course rental fee will be by far the largest expense. Virtually all of the work can be done with volunteer staff. It is also a nice touch to provide food and beverages at a golf tournament, but this too can be done with very little or no expense. You will be able to find local restaurants or caterers to work with you. Allow them to set up a concession to sell food and drinks, and in exchange they will pay your organization a fee or a commission off of the sales. In this way, you can avoid the expense of providing refreshments entirely, and instead turn it into a profit center. Golf tournaments are natural publicity magnets. Your first avenue of gaining publicity is to work with the press and local media–but not how you think. Don't stop at just sending out the customary press release. aturally, if the local sports reporter is going to play in the tournament, they will do a little self-promotion on their own, and do a lot of your publicity work for you. You can also use the fact that they are playing in your own advertisements and promotions, and local fans will show up just to see their favorite local celebs play. Don't forget to invite local politicians, corporate CEOs, athletic coaches and others who are likely to have a large local following. At the end of the day, a single-day fundraising event can yield a much greater profit than another fundraiser that runs for weeks. 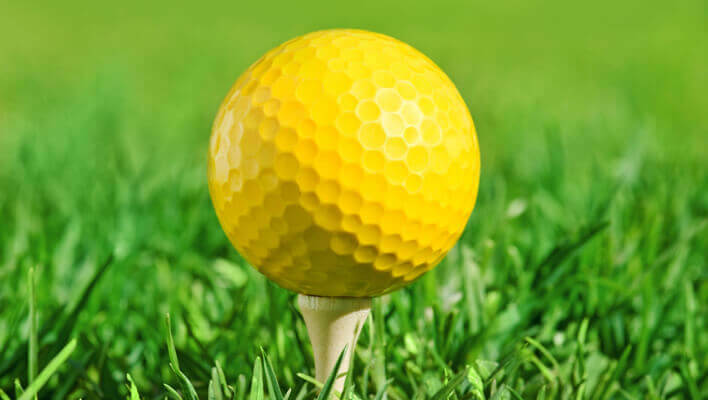 And besides the revenue, the golf tournament will also serve the dual purpose of doing a great job in publicizing the work your organization does.